EZOut helps you to control the look of output from content in PowerShell. 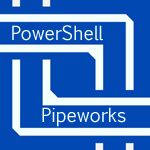 EZOut simplifies the process of making PowerShell Formatting and Types files (ps1xml) by letting you write PowerShell formatting with simple commands. EZOut can be used to change formatting on the fly, and it is indispensible in creating quality PowerShell modules. "$( .AdapterRAM / 1mb) mb"